Now I can finally share the other recent pattern test I've done, and that I've been teasing you with on Instagram and Facebook ... 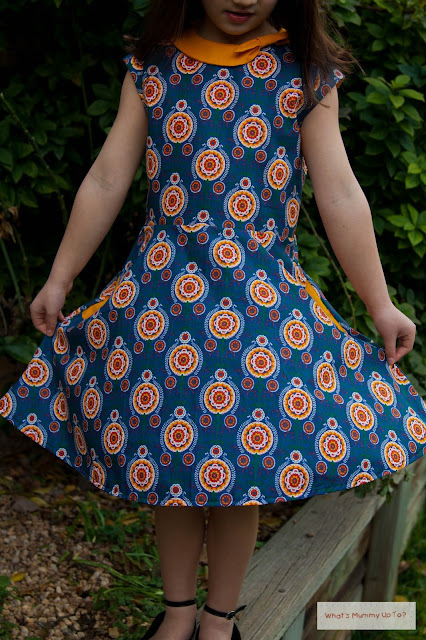 I had so much fun with this one, I actually ended up making 2 dresses ... I couldn't resist. 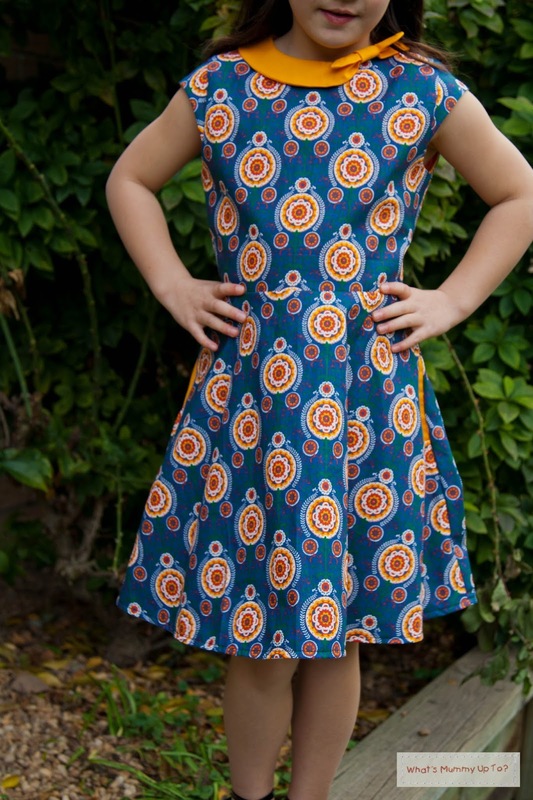 Introducing the Ileana Dress from Compagnie M. Oh, and if you use the code ILEANA10 you'll get a discount on both the printed and digital patterns...just sayin'! So for Bethany's size 8 dress I chose the following options ... 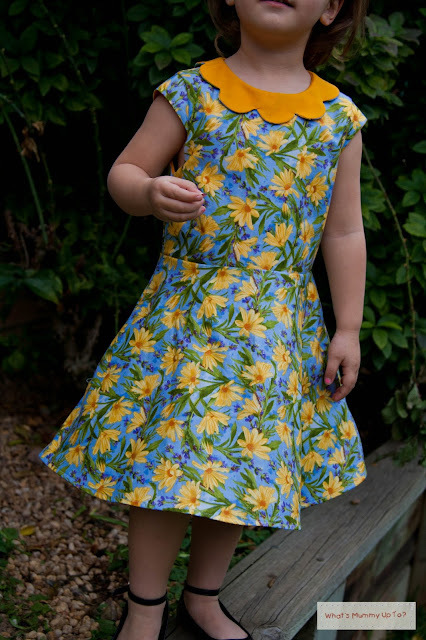 Bow collar, half-circle skirt, classic bodice, cap-sleeve and drop-shaped pockets. This pattern has soooooo many options. I love it for that. 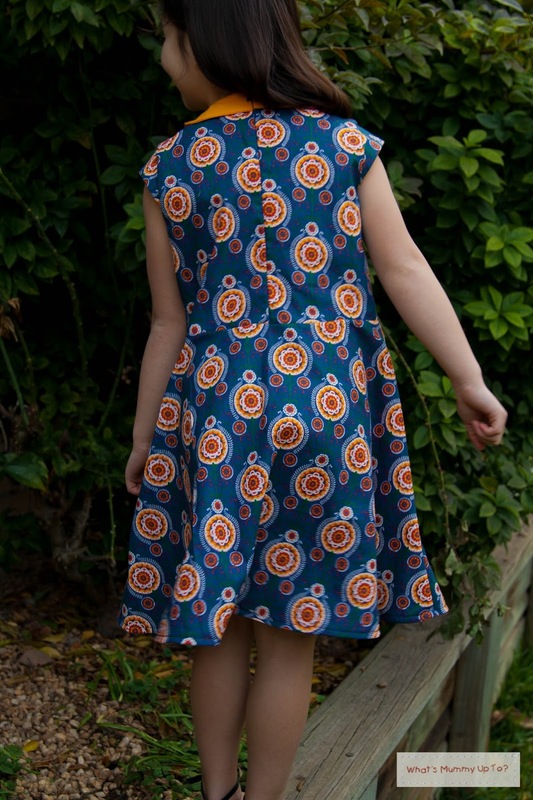 In one pattern you can make so many different dresses. There is such variety that you wouldn't even know they were from the same pattern. That's what I call value! I absolutely think this will become one of my all time favourite staple patterns. Let me list some of the options: Firstly you can choose whether to do a full or half circle skirt, then you can choose the collar - a floral collar, a bow collar, a rounded peter-pan collar or a pointed peter pan. You can also choose whether to do half collars or full collars. And we haven't even spoken about the 3 faux placket options yet, not to mention the sleeve options, or sleeveless of course, and the option to do a raglan bodice, and the pockets, oh the pockets... So as you can see, you can get just as creative as you like. To be honest the number of options gave me a slight panic-attack at first, but I soon found that once I had picked my options, the dress came together so easily. Once again Marte's instructions and pictures are fantastic, and I can claim that my zip-phobia is now well under control. 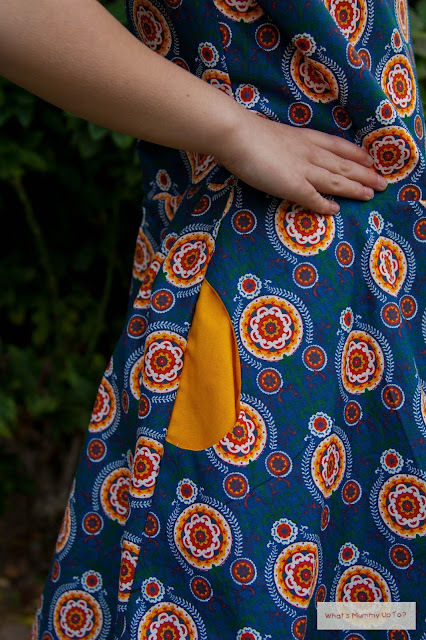 Marte taught me with this pattern to install my very first (and second) invisible zips. I've never seen instructions quite so easy to follow for zips. It completely dissipated my zip anxiety, and made me wonder why I've been so stressed out by zips to date. I might be a little addicted to them now. I've also used her instructions when making a couple of dresses with exposed zips too ... I'm on a zip roll. Oh, and do you like this fabric? I picked it up for $2 a metre at my local fabric store. Couldn't leave it there for that. It's totally not my usual colour pallet, but something drew me to it and I thought it was perfect for one of Marte's designs. Bethany likes it too. She says it makes her look like an adult ... I guess when you're 7, that's pretty much the best thing ever. How things change, huh! Anyway, after watching the tester-group design and show their dresses during the testing period, I just HAD TO try the floral collar. 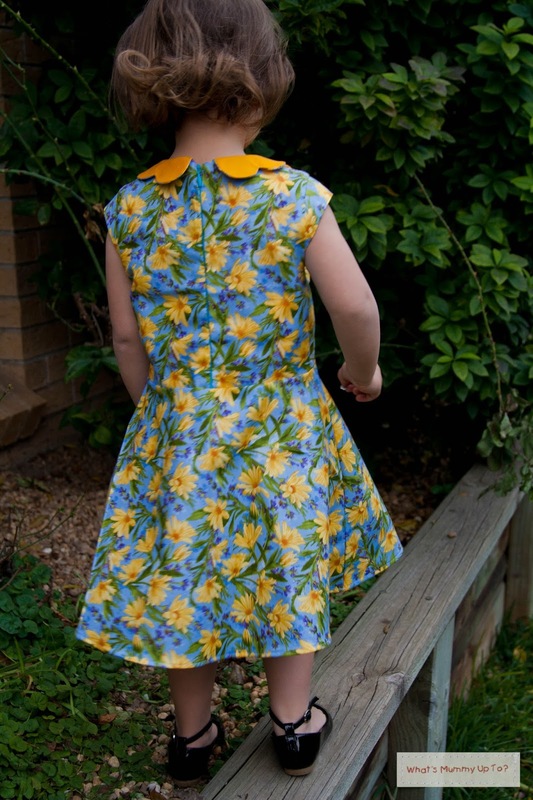 This time I chose a daisy print from my stash and made up a size 4 for Hannah. 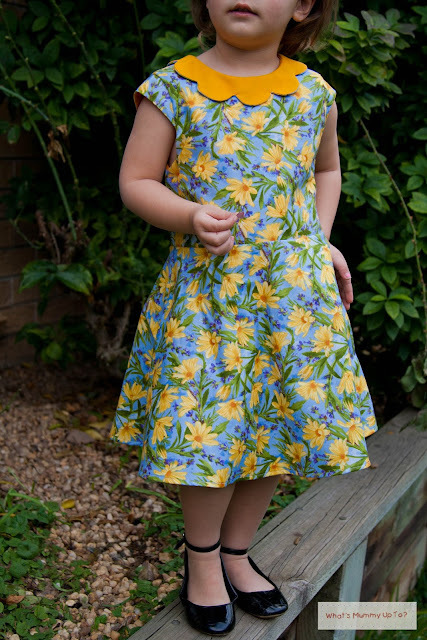 This dress just screams spring, and being in the middle of a cold-snap in Sydney, spring is totally what I'm longing for. So again, I chose the classic bodice with the cap sleeve, and the half-circle skirt. 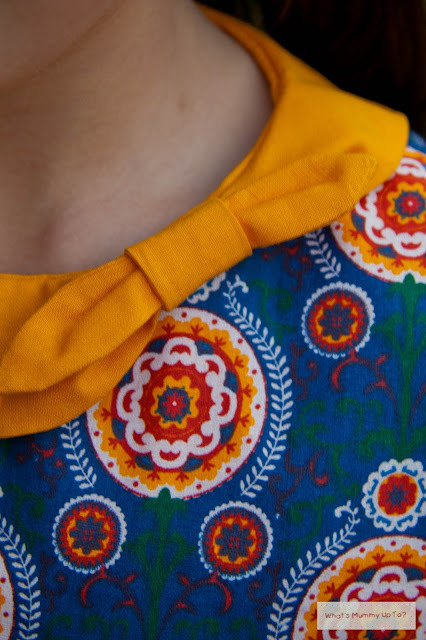 And this time I added a full floral collar. So cute! So, for my next Ileana, I think I'll try a raglan option, with a half-raglan sleeve and a faux placket. And a big thanks to Marte for having me to test again on this one. I had a blast!! love both the dresses Wen, another great result!